Vinyl Wall Mural Night view of Paris. Paris was always the favorite place for photographers and filmmakers. As a result, a lot of sessions took place on the streets of this city. Paris theme appeared in many films like “Paris, je t'aime”, “French Kiss”, “The Da Vinci Code”, “Amelia” and many others. It’s impossible to find the more characteristic point in the global architecture than the Eiffel Tower. This specific structure impresses millions of tourists who come from all over the world every year to see it with their own eyes. 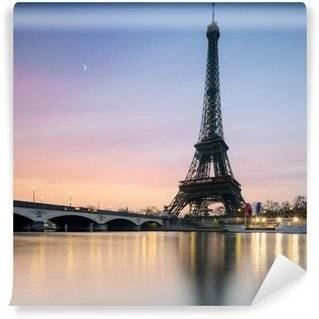 As a result, the Eiffel Tower has become not only the symbol of Paris but also of the whole France. 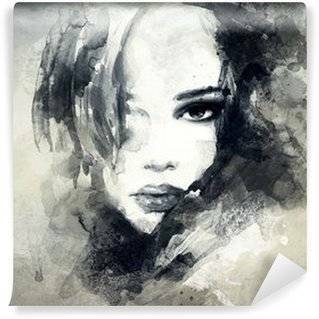 All this makes wall murals from the Paris category, focused on the Eiffel Tower, a perfect choice for people who are looking for a traditional beauty. This kind of decoration would work great in the bedroom and the living room where it is important to have an atmosphere perfect for rest. If you are looking for harmony and something that will help you to calm down a little too bright room, chose a wall decoration from this collection. Definitely, you will be surprised how many positive emotions this unique construction brings, a landmark that all people know regardless of the country they live in. We showed both the dynamic and the rush that you can find present in that city. Paris is not only about the sights, beautiful architecture and the Eiffel Tower. Paris gained a reputation of the city of lovers. Hundreds of parks, romantic monuments and small restaurants are the cause why the city is visited by pairs in love who want to express their feelings. Very often couples come to Paris just to get engaged and to start a new life together. Due to this fact, this city is often chosen by photographers who want to show some deeper emotions throughout their photos. 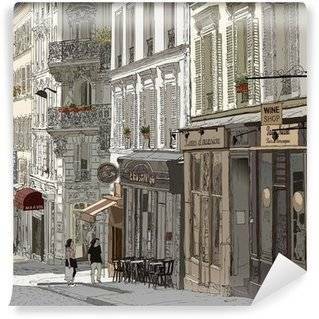 So, if you are looking for a gift for your partner, or you want to remind yourself of a trip to Paris, during which you walked along the narrow streets and drank coffee in small cafes, be sure to choose a wall mural from the Paris collection. Paris is also a place where history, modernity and big business are present. Thanks to graphic designs that we have prepared for you, you can display that on your wall now. 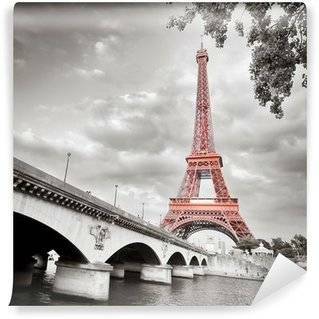 Paris wall murals will make your room visually bigger and ensuring willingness to act. Choose from hundreds of designs that are full of positive energy. There is no other kind of decorations that would work so suggestively on your emotions. Paris is a unique city that cannot be compared to any other place in the world. The specific atmosphere of Paris and the combination of history and dynamism will help everyone to calm down flashy interiors and make them a little bit more stylish. However, if you are interested in a wall mural which will revive your boring room, the collection of Paris wall murals is also suitable for you. What is more, you can find here a gift for your partner or perhaps a way to say someone that you love this person. Everything is in your hands. As you can see, you can find a lot of possibilities here.